This paper looks at Brazil's unusually high interest rates. Brazil has the fourth-highest interest burden in the world on its federal debt (out of a total of 183 countries). The paper finds that this is not a result of known risk factors, but rather is due to unusually high interest rates set by the Central Bank -- Brazil's policy interest rates have also been among the highest in the world — and to the market and political power of a highly concentrated banking sector. The authors warn that unless Brazil corrects its monetary policy, it could contribute to another severe, long-term growth failure comparable to the experience of 1980–2003. During that time, per capita GDP growth averaged about 0.2 percent per year. 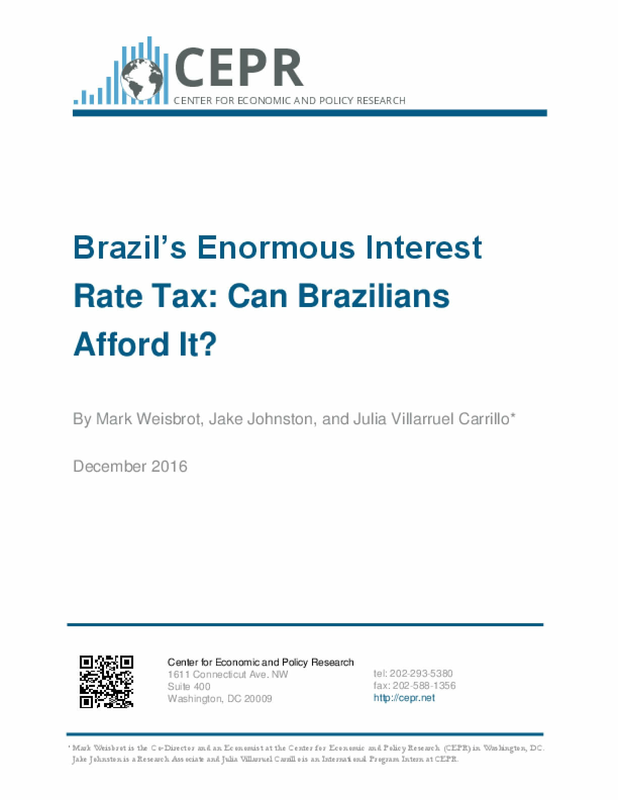 Title: Brazil's Enormous Interest Rate Tax: Can Brazilians Afford It?